Between 29.03. 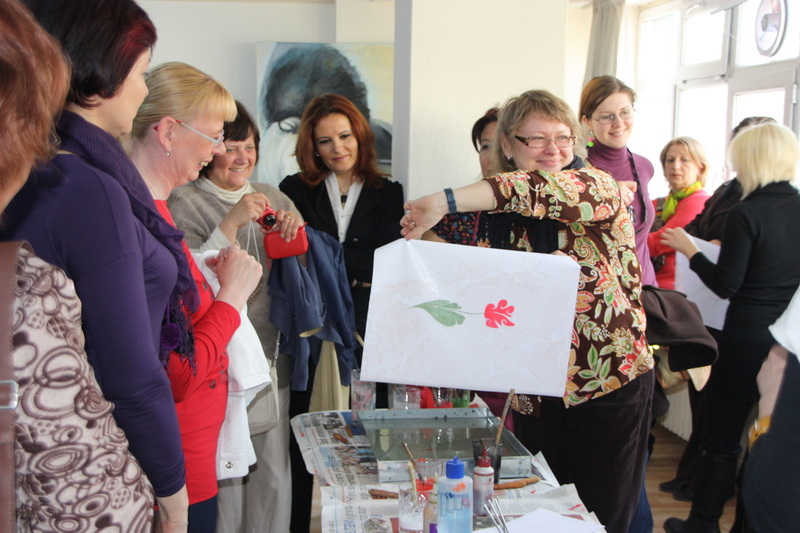 - 31.03.2012 fifteen participants from seven European countries attended the project meeting in Ankara, Turkey. 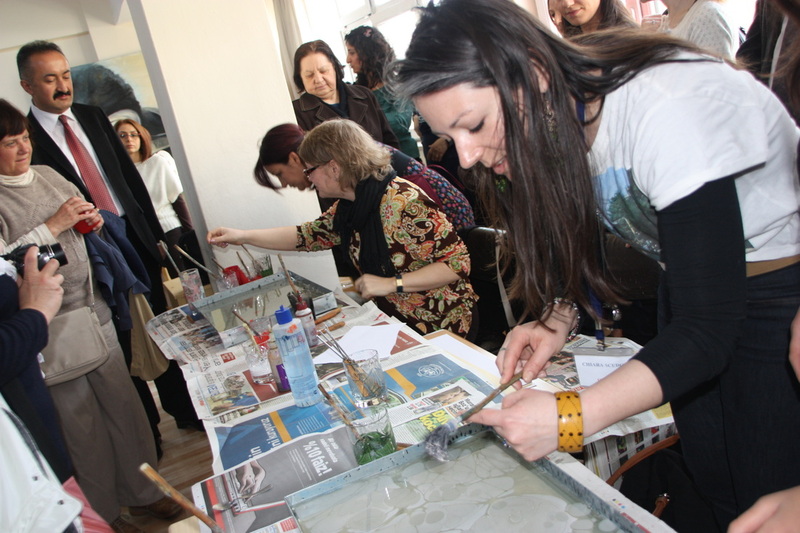 The three days program included study visits to Aydınlıkevler Training and Cultural Center for Women, Çankaya Halk Egitim merkezi and the Ankara Metropolitan municipality, which provides many kind of vocational courses for women. The interesting bazaar in Hamamönü district was also visited by the participants, where women sell their self-made products. 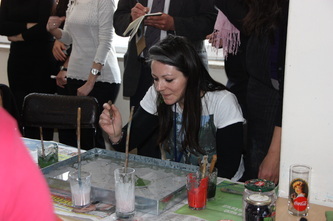 During the project meeting the partners could try the "EBRU" , which is a paper marbling method of aqueous surface design, which can produce patterns similar to smooth marble or other stone. The patterns are the result of color floated on either plain water or a viscous solution known as size, and then carefully transferred to an absorbent surface, such as paper or fabric. We thank our partner Hasan Er for hosting the You can do it! 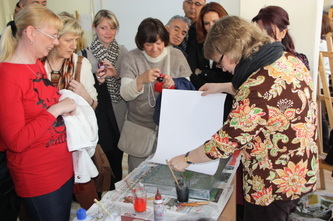 - project team in Ankara. TURKISH MARBLING, EBRU Marbled paper, called ebru in Turkish, was used extensively in the binding of books and within the calligraphic panels in Turkey. The existing word ebre in Eastern Turkish, meaning variegated, points to the fact that marbling might have been known by the populations of Central Asia. Its origin might ultimately hark back to China, where a document from the T'ang dynasty (618-907) mentions a process of coloring paper on water with five hues. In the early examples from the 16th c. in the Ottoman-Turkish era, ebru appears in the battal (stone) form, namely without any manipulation. Interestingly, several variations developed in time, giving us types such as gelgit, tarakli, hatip, bülbül yuvasi, çiçekli (respectively come-and-go, combed, preacher, nightingale's nest, flowered, etc.) An attempt has been made here to show some of its principal patterns, with samples by the master marblers of this century chosen from our collection.